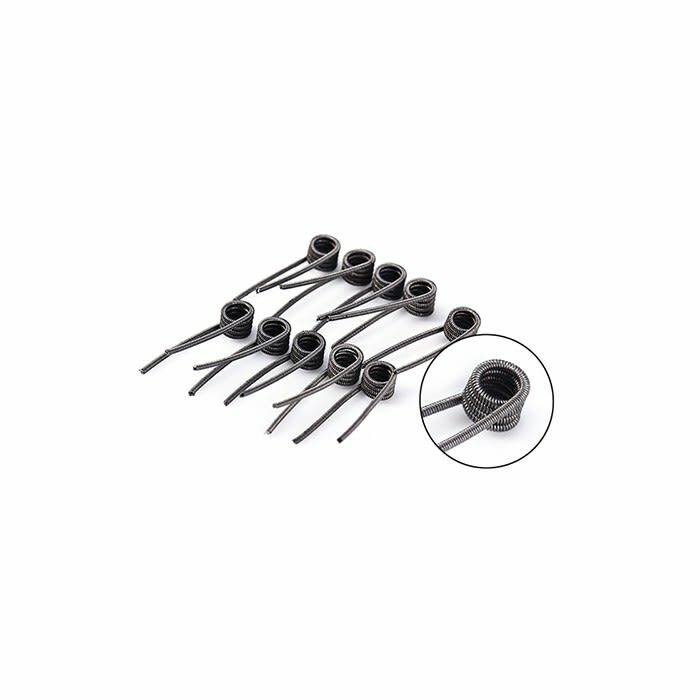 Sorry, Pre-Built Kanthal Clapton Coils by Youde (10-pack) has been discontinued. Pack of 10 Clapton Coil made of pure A1 Kanthal wire by Youde. Made with 24ga and 32ga wire, at 0.6 ohm. If you're looking for some good coils to throw in an RDA, these will do just fine and give you better flavor than a typical standard wire coil. Highly recommend for beginner drippers. for 180 Smoke insider information and deals! You must be at least the Age of Majority to buy and/or use this website. I.D. is required for delivery and pickup. You must be at least the Age of Majority (19+ in Ontario) to buy and/or use this website. Government-issued identification is required for delivery and pickup. Products containing nicotine on this website may be hazardous and addictive. All products sold by 180 Smoke Vape Store are intended for use by adult smokers only, and are not intended for pregnant or nursing women; children; people with, or at risk, for heart disease; high blood pressure; diabetes; asthma; or those who are sensitive to propylene glycol, nicotine, or vegetable glycerine. Information and statements regarding these products have not been evaluated by Health Canada or the FDA. Please be responsible with e-liquid and vape devices, and keep them stored out of reach of children and pets—they can be fatal to them, even in small quantities! © 2018 180 Smoke Vape Store. All Rights Reserved. You must be 19 or older* to browse and purchase from this website. 19 or older* to browse and purchase from this website.